Whether your child has experienced the death of a loved one, the end of her favorite school year, or has misplaced her favorite personal item, loss can significantly affect a child and her expectations for the future. Regardless of the type of loss, the same strategies can help your child process her feelings and move forward. Validate your child’s feelings. Tell your child that she can talk about anything and share her feelings; there are no right or wrong answers. You can help your child process her feelings in the moment as you notice upset reactions or by setting up “free talk” time for open discussion so she can anticipate the conversation. If the child does not feel like communicating through conversation, encourage her to draw out her feelings. This way, the parent can see how the child is processing the event. It also gives the child a tool to use in conversation if open-ended dialogue feels threatening. Set up expectations for moving forward. When a child experiences a loss, it can be difficult for her to wrap her head around future expectations. For example, she may wonder, “If Uncle Joe died, will I die? Will Mom or Dad die?” If this concern gets brought up, you can help navigate this by framing expectations for the future to reduce anxiety and get the child back to pre-loss functioning. This can be your opportunity to add in any values or core concepts relevant to your family (i.e. religious interpretations regarding death, personal viewpoints etc.) Pre-arrange with your spouse how you would like to proceed with these tough questions to help frame the child’s expectations for moving forward. If the child experiences the loss of her favorite teacher as she progresses in school, encourage her to identify the positives and negatives inherent in that academic year to create a blueprint to measure future years. You can advise that future years may not be exactly the same but that there will be other high points to come that she is unaware of now. Engage in therapeutic letter writing. This allows the child to gain closure over situations as she composes a letter to her deceased loved one, her favorite teacher who she is leaving, or the baby blanket she left in the hotel. Provide her with fun paper and makers to compose a letter processing her feelings, what she will miss, and what she will do moving forward. This letter writing process allows the child an opportunity to still connect with her lost item or person. In the case of her teacher, she can actually give them this letter if she feels comfortable. If not, as with the other examples, she can attach her letter to a balloon and set it free. This will help the child process her feelings and sustain connection in a symbolic and therapeutic way. 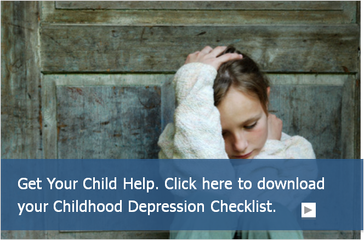 Our mental Heath team can help if a loss seems to be overwhelming your child or family. Click here to learn more.